I always enjoy the comraderie of my fellow coaches at the Coaches Clinics and getting to meet the people who come to chat for a 15 minute coaching session. 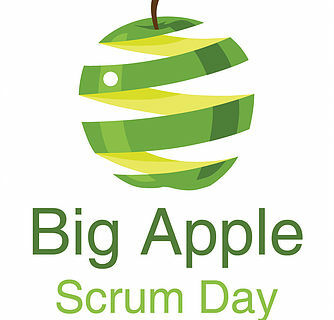 This year's Coaches Clinic at Big Apple Scrum Day in New York City continued the tradition. While every clinic is different based on who shows up, there are two clear constants. One is the coaches' earnest desire to help people with the next leg of their Scrum journey. The second is the energy of the attendees in seeking a way forward. Everyone's Scrum journey is unique and that is what makes coaching such an interesting vocation. Certainly there are patterns — well worn paths that many have trodden in the search for improvement — but these paths crisscross, double back, circle around, and blend in innumerable ways. For me, this year's coaching topics ranged from estimation (what a can of worms that one can be! ), how to get started with agile, how to improve team focus and accountability when the team is distributed, and variations on how to be a better coach or trainer for the team and the organization. I often start the coaching conversation with the question, "What is the difference you want to make?" or a similar variation on the question, "Why?" The intent of this question is to turn the conversation inward to what the attendee really wants to accomplish. This focus is key to the journey. The discovery of this quote is another reason I love to come to Big Apple Scrum Day in New York City. It's the people, the history, the learning, the ever changing, but still same enduring quality of what makes us resilient, adaptable, and successful. As J.P. Morgan's bookplates adorning his many thousands of books say, "Onward and upward".